Joe Curatolo Rides for "Kids Just Want To Have Fun"
To help support RPCI and the pediatric patients our family will match 50% of the Team "Kids Just Want To Have Fun" and pay the ride registration fee. Roswell Park Cancer Institute became a part of my life over 30 years ago. My wife, Kathy, was diagnosed with cancer while in high school in 1972. She has been a healthy and active person since we met in 1979. Kathy continues to go to the pediatric dept. for routine checkups, and is actually the oldest pediatric patient at RPCI. For the past 25 years we have been fund raisers for RPCI and other cancer related charities including Carly's Club, Kevin Guest House, the Association for Pediatric Patients and the Ronald McDonald House. Our hearts have always been to support the "quality of life for pediatric cancer patients". As part of our commitment we started the Curatolo Quality of Life Endowment in 2008. The endowment is used to help pediatric and young adult patents have fun and a wonderful quality of life. 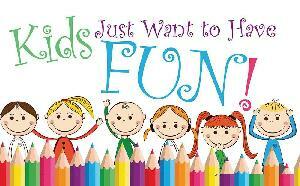 Please help support RPCI and Team "Kids Just Want To Have Fun!" Our mission is to help the RPCI pediatric cancer patients, and their family, enjoy a wonderful quality of life. Through fundraising efforts like the Ride for Roswell, and other individual events, we have raised over $800,000 in only 7 years to support our pediatric and young adult programs. You can help by hitting the blue tab "Donate Now" and donate to the Ride and Team Kids Just Want To Have Fun. Oh! You Dirty Dog!, Inc.